Research conducted at the Boston Children's Hospital has shown it may be possible to treat lung diseases by introducing proteins which instruct lung stem cells to produce the cell types needed to repair the injuries caused by such conditions. A natural pathway exists in the lung which instructs stem cells to develop into specific types of cells. Researchers enhanced this natural pathway in a mouse model, successfully increasing production of alveolar epithelial cells, which line the small sacs (alveoli) where gas exchange takes place. Diseases such as emphysema and pulmonary fibrosis permanently damage these cells. The researchers inhibited this pathway, causing increased production of airway epithelial cells, which are damaged by diseases that affect the lung's airways. 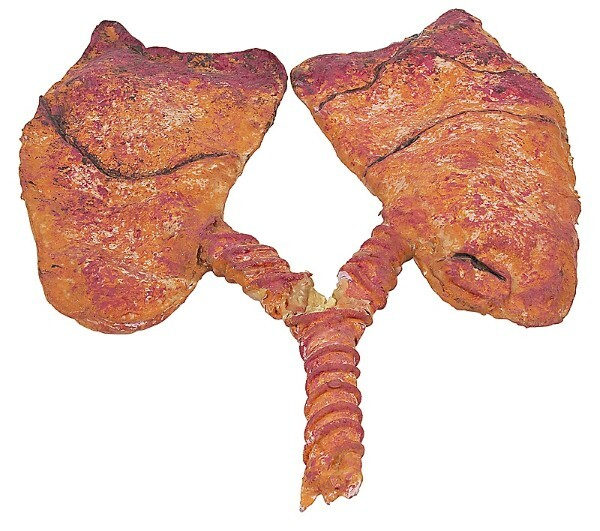 A 3D culture was developed to model the environment of the lung. It was found that a single lung stem cell could be made to produce alveolar and bronchiolar epithelial cells. When a protein known as thrombospondin-1 (TSP-1) was added to these cultures, they encouraged the stem cells to produce alveolar cells. Experiments were conducted on a mouse model in which symptoms of fibrosis were induced. Endothelial cells, which line the lung's many small blood cells – and which naturally produce TSP-1 – were taken from the mice and liquid surrounding the cultured cells was injected into the mice. This process reversed the lung damage. When the team used lung endothelial cells that lacked TSP-1 in the 3D cultures, it was discovered that the stem cells produced more airway cells. In live mice engineered to lack TSP-1, airway repair after injury was enhanced. "When lung cells are injured, there seems to be a cross talk between the damaged cells, the lung endothelial cells and the stem cells," says Joo-Hyeon Lee, who is first author on the paper. "We think that lung endothelial cells produce a lot of repair factors besides TSP-1," added the paper's senior author, Carla Kim. "We want to find all these molecules, which could provide additional therapeutic targets."